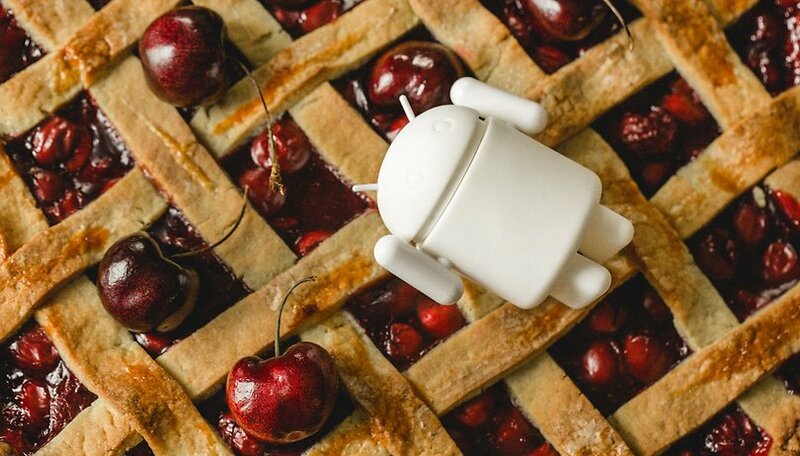 Update: Android 9 Pie features added! As smartphones are becoming more and more powerful, so are their features: checking out social media, sending emails and even taking calls! In all seriousness, though, there are secret features that you can take full advantage of on your Android smartphone. We've recently updated this list of handy tricks with new additions available in Android 9 Pie! Have you ever needed to leave your phone in a room full of people you don't trust? It may sound paranoid, but Android 9 Pie has added an emergency lockdown feature that can shut out all unwanted eyes from your device. Head over to your Security & location settings and then go into Lock screen preferences. From there you can toggle the Show lockdown option on. The mode will then appear when you hit your power button. Emergency lockdown mode disables the fingerprint scanner and facial recognition, as well as hiding sensitive data from your lock screen. Nobody is getting in! Thanks to the 9 Pie update, you can connect up to five Bluetooth speakers simultaneously from your Android device. it's perfect for throwing a party where you want to have music in multiple rooms and control it from a single smartphone. Google's software will also automatically send calls to a device that supports the, should you jam be interrupted. Your volume preferences are also now remembered so you won't have to go around constantly tweaking your settings every time you connect to your speakers. For reference, Android previously supported just two Bluetooth connections at the same time. Do you ever find yourself swiping away annoying notifications without even looking at them? Now on Android 9 Pie, you can see which apps are pestering you the most. Go into your Settings and then Apps & notifications. From there, you can see all of the recent notifications you have received on your device. Change the list to sort by Most frequent, and you will have an easy-to-read list of your neediest apps. These are the ones you want to block. The software will also prompt you to block notifications for certain apps if it notices you swiping them away without reading them often. You probably know that you can use the square button in the navigational bar to pull up all of your open apps, but did you know you can double tap it to instantly switch between the last two apps you used? this feature is extremely useful if you need to switch between two apps more than once - when reading on Chrome and taking notes on Google Keep, for example. Few users know this trick: some Android smartphones let you voice search by saying “OK Google” even when the screen is off! Unfortunately, only mobiles with a voice detection system enabled are able to carry out this function. To find out if your phone is able to do this trick, go to Google Settings > Search and Google Now > Voice > OK Google detection > Always On. Remember that you have to train Google to recognize your voice (this option is on the same screen). Phones that don’t offer the ‘turned-off screen’ detection will have an option called “From any screen” instead of “Always On”. Losing your phone is bad enough, but it’s even worse when you think that a stranger may have access to all your personal information. Luckily, Google has an excellent feature called Android Device Manager which lets you keep control over your device if you misplace it. Android Device Manager does much more than just trace your phone: it allows you to call it, turn it off remotely or even reset it to the factory settings. Activate this feature by simply going to Settings > Security > Phone Management and access the site on your computer if you’ve lost your phone. Android Marshmallow abandoned the dark theme for now, but there’s still a way to create your own in-house dark theme. Simply go to Settings > Accessibility > Inverted Rendering to get the dark theme that you dreamed of. Screenshots won’t take the dark mode into account and it will affect the appearance of app icons. That said, the theme is great when it comes to readability, as it's perfect for reading at night or in bright light. Access Chrome tabs from other devices. If you use Chrome as a default browser (like most users do), did you know that you can also access your open Chrome tabs on other phones or tablets? As long as you’re connected to Chrome, when you open a new tab you’ll see the ‘recent tabs’ option at the bottom right of the screen. Tap on this to see all the open URLs on your other devices. This is a precious tip for those who tend to lose their belongings (or leave their phone on a restaurant table or at a bar). If your phone is lost and you think that someone could pick it up, you can leave a message on your phone with your contact details. You have the same feature with the Android Device Manager if you’ve already lost your phone, but it’s a security measure that you should definitely set up. Go to Settings > Security > Lock screen message to add your contact details or instructions. Offering a reward to someone that finds your phone isn’t a bad idea either! Once upon a time, at the dawn of the digital age, you had to invest in a huge scanner to make a digital copy. Today, your smartphone can function as a very versatile scanner in its own right. Even though the quality isn’t as good, the process is much more practical. If you want to use your mobile phone as a scanner, you have several options. You can simply take a photo of the document and save it as an image, or you can use Google Drive to convert it. There are also excellent apps for this, such as CamScanner or Evernote. Tethering is a feature that most of you will already know about, but you can also turn your smartphone into a Wi-Fi hotspot, and it has become much easier to do this since Lollipop and Marshmallow. The process turns your smartphone connection into a Wi-Fi network that other devices can connect to. Go to Settings > More > Share connection and Mobile hotspot. There, you can set up the network name and the password to connect to it. However, be sure to keep an eye on your mobile data consumption. Do you know the various sensors that your phone has? Not only does it know which direction is north or south, but you can also download an app like Smart Compass or AndroiTS Compass Free to turn your mobile into a compass. A lot of phones also have a barometer which turns your mobile into a portable weather station. Apps such as Barometer Altimeter DashClock and Barometer Monitor can help you to anticipate changes in atmospheric pressure. Let’s go back to your phone’s camera: you can easily turn it into a barcode scanner with apps such as Barcode Scanner. The app works with QR codes as well as barcodes, and there are a lot of other alternatives! Why would you want to scan barcodes? It all depends on the app that you use, but shopping is the main reason: if you see an item in a shop, you can compare the price online or order an item that is out of stock using the barcode. Your smartphone has a lot of sensors. This means that you can trace your walking or running routes and other activities without needing any other equipment strapped round your wrist or clipped onto your clothes. For starters, Google Fit is an obvious application for this purpose, but there are also many other apps for that will work on your mobile or your connected accessories. If you need additional information, apps such as Runtastic Heart Rate Monitor can measure your heart rate using your smartphone’s camera. Turning on the developer options sounds like a scary thing to do, but they're features your device has and you can use them whenever you want. Even if you don't think of yourself as a developer, anyone can use these hidden features to enable certain convenient tweaks. It's possible give the phone a new sense of speed by turning off animations, improve GPU performance in gaming, debug the USB connection and much more. The first step toward developer options heaven is to actually enable them. To do this, go to Settings > About phone, then scroll to build number and tap it seven times in a row. By doing so, you will be notified that you have become a developer (aw yeah). Now, return to the regular settings menu and scroll to the bottom. Just above "About phone" you will see Developer options. Time to enjoy your new-found powers. We've been able to take screen recordings for years on Android, but surprisingly few people other than developers, YouTubers and the specialist press currently use this feature. It's a very simple way to show someone how to do something. There's nothing to enable, just install an app like AZ Screen Recorder and that's it. Even some devices like the Galaxy S8 with its Game Launcher bring this standard option for games. Go to Settings > Security > Trusted Agents and enable the Smart Lock feature. Once activated, you can choose trusted devices (such as smartwatches or Bluetooth headsets), trusted sites (such as your home or office), trusted faces (facial unlocking), voice unlocking, or usage detection by the owner. This is a simple but very useful feature found in the Android Accessibility Settings. Once enabled, a triple tap on the screen will allow you to zoom in anywhere on the Android system. Ideal for getting close up capture on apps to share photos or to read snapshots you can't zoom in on. Triple tap and hold for a temporary zoom or triple tap to enter magnification mode and triple tap again to exit it. You will need to drag with two fingers to navigate in magnification mode. Simply go to Settings > Accessibility > Vision > Touch Zoom (or Settings > Accessibility > Magnification Gestures). Text-to-speech output is another handy little tool that makes hands-free interaction much simpler. I save tons of articles on my mobile phone to read offline, but I'm very busy and I don't always have time to sit down and read them. That's why I use the Text-to-Speech feature to tell me the stories while I'm cooking dinner or doing things around the house. Go to Settings > Accessibility > Text to speech output and make sure you have the language pack installed. You can also go to the settings for your text-to-speech engine and enable them to update new voice data. Are there any other Android secrets that you know about that we may have missed? Care to share them with us? Let us know what they are in the comments below. I knew all these, wow didn't realise I'm so proficient in Android. Still I know lots of people that doesn't know these things. Hell I know people that still delete photos to make room for new ones, on android. Yes on android. This is after I've told them about the Google photoes backup feature but they just can't seem to wrap their heads around it. Agreed that there are android experts and newbies. So the article heading should somewhere state that this is for newbies. Else it will elicit this sort of response from the expert crowd. For all the complainers, just stop it. There are millions of Android users who are missing out on tons of user options, simply because they are unaware of them. Articles like these are needed and appreciated by those who came here to find out new things. That said, I ran across someone yesterday, who wanted to know how to access the things on clipboard. So, I gave a brief explanation, that, without a clipboard app, the function was extremely limited to copy/paste one item at a time. But with an app, you could save all your copying for later if you want, or selectively delete individually or batch. Of course, there is much more you can do with a clipboard app, my point being, even after years of using Android, many, have only scratched the surface. The reason I mentioned clipboard apps, here, is because, Android Central wrote about it not long ago, and the comments quickly filled up with juvenile responses like here, too. Oh ya, my favorite clipboard app is "Clipboardr - clipboard manager". Yes, correctly spelled with (r) at end. It's free, ad free, and has the least permissions of any. No internet permission means it's private. Has tons of functions, like back up & restore, access from notifications, no limits on amount saved, editing, sharing from app, & material design. Even though it's not been updated, it's still functioning perfectly, even on Nougat 7.0. The nonsense email forwards into my working real email, to be sure I'll get it. I have used this feature for a long time too, but a bit differently. I provide my ex-wife's ph# to contact if found. We get along well enough that she would give it to me. But if somebody had any really bad intentions, well... She had it coming. XD. Just kidding. Could go from bad to worse (?) On my first phone I stuck on one of those paper return address labels, but evolved to using anonymous email: everybody has email, no LD charges to the finder, if it's a bad actor I'll remotely brick the phone. I recently stuck a post-it with the same email address inside the back of the case, for a dead battery. I found one u can use your Bixby button to turn on your phone without having to use power on ! THTS if you disable Bixby. Wait. These are "unknown"? And there are ten of them? Talk about clickbait (which I obviously fell for). Really good article. Please write an article on smartphone photography and how to take almost dslr like photos using the professional mode on smartphones. Check it out and let us know if you get better results from your shots, or if you have any questions! We write articles for people with all levels of Android knowledge, including beginners. We are proud to serve the whole Android community. If you know these tricks already, that's great, but it certainly doesn't mean this article is a "total fail." If you know of any additional features that others may not have heard of, feel free to contribute in the comments and we might add them to the article at a later date. how to access System UI ? use a widget for settings s/c..
chrome shortcuts on home screen..
better still retitle article under "beginners guide for android and simple apps to try first time"
These "hidden Features" are mostly apps you have to install, NOT features of the phone itself. Really what a waste of time. You seriously think these are the "hidden" features no one heard off? Wow.